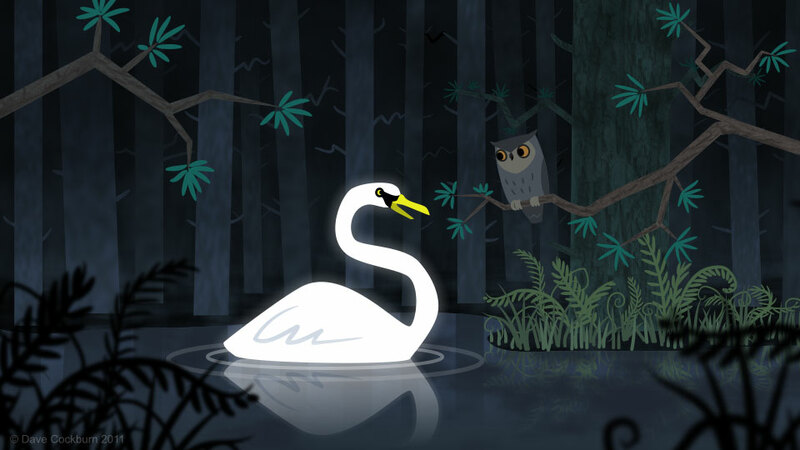 Long time ago, a swan lived near a lake in a forest. He spent his time playing various games in and around that lake. One day, an owl visited that lake. He saw the swan and requested for his friendship. The swan agreed to be his friend. Then they both played many games and happily spent time for many days. The Owl very soon became bored of that place. One day, he told the swan, "I am getting bored of this place. I am thinking about going back to my home. If you wish, you can also come with me". The swan also feeling little bored about his home. So he also went to the owl's home place. On reaching the home wood, the owl went to a dark hole and hid inside. The swan didn't know what to do in that new place. So the swan decided to take rest. That time, a group of merchants were passing through that wood, chanting some mantras. The owl heard their mantra sound and wanted to make fun of that. So he started making its hooting sound. The merchants felt bad about this hooting sound and thought it was a bad saitan. So they took few arrows and hit it in the direction of the sound. Since the owl was hiding inside a hole, he escaped, but the poor swan was hit and was killed.